Want it by Wednesday 24th April? Order within 3 days, 20 hours, 57 minutes and choose Next Working Day - Kerbside Delivery (Order Must be Placed by 2pm) at checkout. 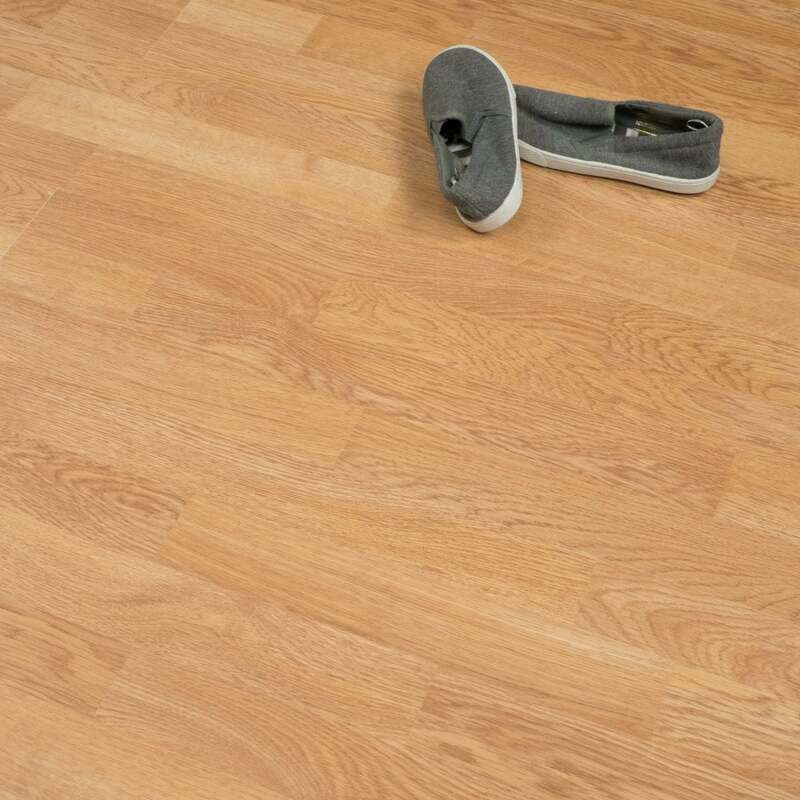 Our 6mm living Range is perfect for those who want to renovate on a budget - affordability and effortless style meet for this oak 6mm Laminate. With an easy to use "Click Lock System" and a short 48hour acclimatisation period, this floor will be perfect for a first home, or for developers kitting out rental properties. This is a very natural looking oak floor, so it has variations in shading, meaning that the lighting of the room shouldn't be heavily impacted by the floor. With an AC3 Rating this floor would only be suitable for residential purposes, and would not be appropriate for any kind of commercial property. Make sure you know exactly how great this floor is before you buy - order a free sample today! This laminate is really great quality and it was a bargain price. The colour is perfect - exactly what we were looking for and it was very easy to lay (even for 2 absolute beginners with 0 handy skills)! We would definitely recommend.